The Anacostia Watershed Restoration Partnership (AWRP) mapped out 3,000 restoration projects in 2010, and since then jurisdictions have referenced the map to mark off their progressed as projects are completed. The AWRP has expanded its mapping efforts to include maps of recreation destinations like popular fishing spots. The Metropolitan Washington Council of Governments also maintains a “dashboard” of restoration progress throughout the Anacostia watershed. These graphs and maps track health indicators of the river, but are not available publicly. DC’s Department of Energy and Environment recently funded the much-celebrated River of Resilience Story Map by Krista Schlyer, an interactive set of media, stories and maps released in 9 different episodes. DOEE also manages geographic datalayers that include geographic points for all of the projects they have supported, including RiverSmart Schools and schools that provide Meaningful Watershed Experiences, as well environmental data like the Anacostia floodplain. You can find some of their maps here, and look up other data points using DC’s Open Data portal here. DC Water’s new Watershed Division is hoping to use mapping to help support decision making throughout the watershed, specifically to target investments in infrastructure. Matt Ries shared an update on an interactive map for infrastructure, currently a work in progress. DC Water is also planning to build a “Digital Twin” of the Anacostia, a live dashboard of water quality and hydrological information. Meanwhile, the utility has an open data portal for its infrastructure throughout the city. The District Department of Transportation is currently renovating its entire dataset of street centerlines to include detailed information about conditions, materials, lanes and lane widths and more. This information will allow for more detailed analysis and could be relevant to water quality by allowing users to calculate detailed stormwater impacts from each roadway, for example. The National Oceanic and Atmospheric Administration manages a lot of information in the entire region, including the Anacostia watershed. The Emergency Response Management Application (ERMA) map includes many, many layers for the entire country. More locally, NOAA has taken a renewed interest in the baseline sediment and fish tissue conditions of the Anacostia due to their involvement in the Natural Resource Damage Assessment in the Anacostia watershed. A representative of this group was not present at this meeting, but the DC Silver Jackets is an interagency team comprised of members from federal, District of Columbia and regional agencies, as well as academia. This team leverages resources to identify and implement comprehensive, resilient, and sustainable solutions to reduce flood risk around the district and to assist local communities. The Silverjackets have created several maps that may be of interest to Anacostia watershed stakeholders. Jonathan Goodell of the Alice Ferguson Foundation presented a map that he created alongside Brittani Garner of Prince George’s County Department of Environment to assist watershed groups with getting the word out about events and projects, especially during the Year of the Anacostia. The map suggests a boundary to the Anacostia River corridor and indicates the location of community hubs like libraries, schools, churches, grocery stores, etc. Alice Ferguson Foundation has partnered with National Geographic’s FieldScope to track where trash clean-up events have been taking place across the region. Over the next several months, the organization plans to work with FieldScope to make the maps more user friendly. The Anacostia Watershed Society is working alongside the National Park Service, NatureBridge and many other organizations to create a map of and forum for groups that offer environmental education programs in the watershed. They are very early in their project, but you can view their initial map layer here and if you would like to get involved in the project, please contact Autumn Saxton-Ross with NatureBridge. Simone Depew from the Environmental Projection Agency shared an examplee from Los Angeles, where the LA Urban Waters Ambassador Justin Yee partnered with the Redlands University to create a story map that tells the history of the urban river. She also described USDA’s Stewardship Mapping and Assessment Projects, currently used in NYC and Baltimore, as a tool to track citizen-led stewardship projects in the watershed. DC Appleseed is currently working with its partners to track upcoming development projects in the Anacostia River corridor and overlay that data over an analysis of neighborhood vulnerability to displacement (similar to work being done in San Francisco and elsewhere). 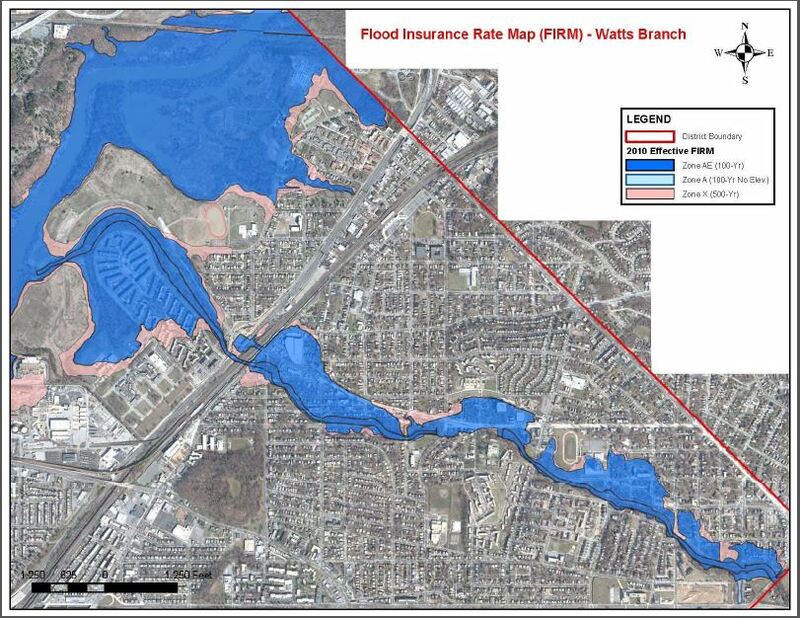 This work is not yet finished but will inform the Resilient DC working group on the Anacostia River. The DC Office of Planning is currently building new datasets to map affordable housing in the District that will include the conditions of structures and other information, to complement datasets of affordable housing projects that already exist. The OP also manages and uses some of the ample information available through DC’s Open Data portal. The Anacostia BID is tracking development in its neighborhood, and wants to use mapping to analyze ways to bring more investment into the neighborhood while minimizing displacement of current residents using tools like community land trusts.